Deacon Pedro speaking with Lisa Daniels and Dr. Robert Hauptman. This week on a special encore end-of-life edition of the SLHour we look at what it means to have medically assisted dying in Canada. We speak with Lisa Daniels who suffers from intolerable, debilitating pain and her doctor, Robert Hauptman and also with Chuck and Jeri Marple whose daughter Mary has cerebral palsy. They speak about quality of life and living with dignity. This program was taped in Edmonton, Alberta in April 2016 and first aired in June 2016. Deacon Pedro speaking with Chuck and Jeri Marple. Learn more about all these issues and find out how to purchase our award-winning documentary, Turning the Tide. 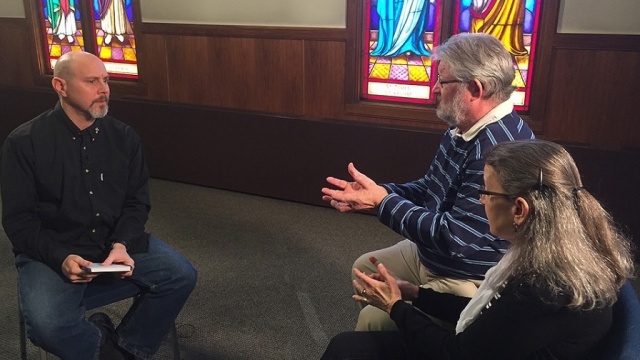 Watch Deacon Pedro’s conversation with Chuck and Jeri Marple on Catholic Focus. 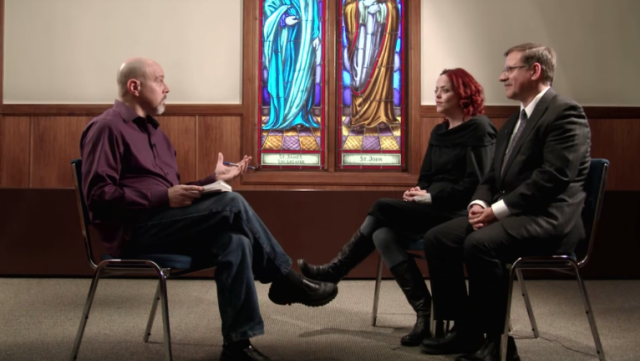 Watch Deacon Pedro’s conversation with Lisa Daniels and Dr. Robert Hauptman on Catholic Focus. Watch the full conversation of Deacon Pedro with Archbishop Richard Smith on Catholic Focus. Watch Deacon Pedro’s conversation about legal issues with Kate Faught on Catholic Focus. Watch Deacon Pedro’s conversation on all these issues with disability-advocate, Mark Pickup on Catholic Focus. Watch the full Every Life Matters series.